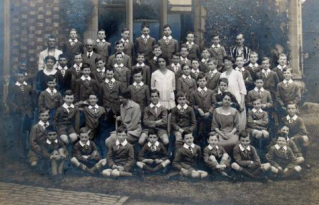 In 1922 ‘Sir’ moved the school to Crown East Court, and renamed it Aymestrey Court. It is said that what decided him on this particular house was that he saw a kingfisher on the lake. Built in 1866, the fifty-roomed mansion may have been empty since 1918 and he was apparently able to get it and 40 acres, for £10,000. As a young man Sir Edward Elgar is reputed to have taught the violin to the young ladies of the house. “Oh, it’s a lovely place, but far too big: we should never fill it”! 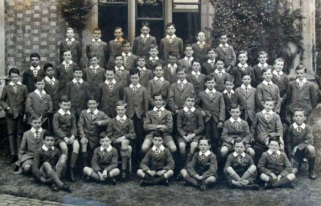 But by summer 1925 there were 50 boys enrolled. I arrived at the age of six to be frightened for a few weeks of changing in the cellars. Individual events come to mind: an Ainslie monoplane landing near the gym; a seemingly complete hunting field galloping over the cricket field one morning; the character forming experience of playing full back in 73-0 defeat by the Downs. In 1934 ‘Sir’ and Tief took on Mr Michael St John Mildmay and his wife Joan as Junior Partners. Both their sons, Walter John and Hugh, were born while they were at Aymestrey. Sadly ‘ Sir’ died early the next year (1935) and the Mildmays became Senior Partners with Dan being called back to be junior partner. Dan, who had won a scholarship to Bromsgrove and then taken a First in Greats at Hertford College, Oxford, had gone off to learn his trade at West Downs School in Winchester, where for a time he was on the staff with Mr Mildmay. 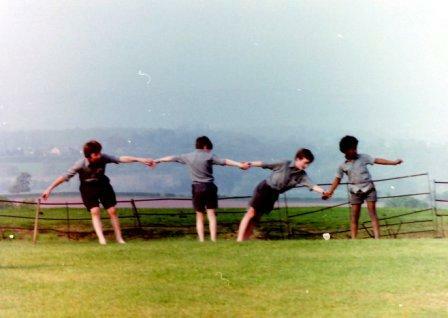 The Aymestrey traditions of Base Game and unaccompanied singing in prayers are thought to have come from West Downs. _Many Old Boys remember the Sunday evening book reading, initially by Tief, then by Dan; later Hugh Griffith read to the seniors while Gill read to the juniors. Some also remember that Aunt Ness (Tief’s sister, who lived in Crown East cottage) was a brilliant story-teller. The swimming pool was built close to the Lake, and in the early years filled with Lake water, which would get discoloured very quickly. Some people swam in the Lake, but the many water lilies could prove a problem. The School is extremely full. This is gratifying in itself but leads to much disappointment both for others and for ourselves, since we are having to refuse places in the School even to sons of Old Boys and of personal friends, who have not applied for them soon enough. At present our earliest vacancy is for the summer term 1947 and there are entries as far ahead as 1950. 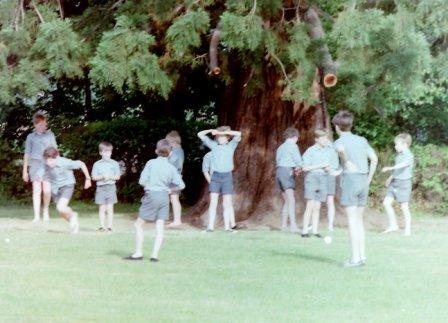 World War II does not seem to have had a particularly significant impact on the school, although many Old Boys were in the Armed Forces and there are nine names on the Roll of Honour. In 1948 the Mildmays left and Dan, Jean and Tief ran the school. This website and its content is copyright © Pippa Griffith 2011-2018 All rights reserved.